How Much Water Do You Drink Daily on the hCG Diet? Does Drinking Soda Hurt Cardiovascular Endurance? Caffeine exerts several powerful effects on your body; not only does it help you feel alert and awake, it also speeds up your digestion, metabolism and other bodily processes. Consequently, although it seems counterintuitive, caffeinated drinks like coffee, regular soda and black tea can ultimately increase your thirst. If you drink coffee or caffeinated tea when you’re thirsty, it may feel like the beverage quenches your thirst at the moment. Drinking a cup of coffee does indeed moisten your mouth and place liquid into your stomach, so the immediate sensation satisfies your desire for fluid. However, these immediate physical indicators may mislead you. After drinking a caffeinated beverage, your thirst may increase, especially if you’re not used to the beverage, found a study published in the academic journal “Psychopharmacology.” This increased thirst can occur even before the effects of dehydration become noticeable. In large doses, caffeine can dehydrate you, warns the U.S. Food and Drug Administration. It causes fluid to pass through your body more quickly than usual. Although a mild effect, it affects the fluid already circulating in your body, the fluid provided by the coffee, tea or soda that contained the caffeine and the fluid you take in from everything else you drink and eat. The fluid travels through your system rapidly, making you urinate more often than usual, meaning that your body discards the fluid before taking the liquid it needs. Especially in higher doses, caffeine can even cause diarrhea, which also dehydrates. Dehydration interferes with kidney function, slows both your metabolism and your brain activity, causes skin problems and leads to constipation. Because your body desperately needs more water, dehydration can make you feel extremely thirsty. Don’t drink caffeinated beverages to quench your thirst, recommends the FDA. Your body often triggers thirst to communicate that it needs more water, and caffeine’s diuretic effects could help flush the fluid from your body, rather than replenishing it. Ultimately, the FDA concludes, coffee will not significantly help your body if it needs more fluid. An educational brochure developed by Craig Hospital supports that conclusion: “Drinks with caffeine do not help meet your water requirements,” because they increase your fluid output. Some experts, however, debate this point. 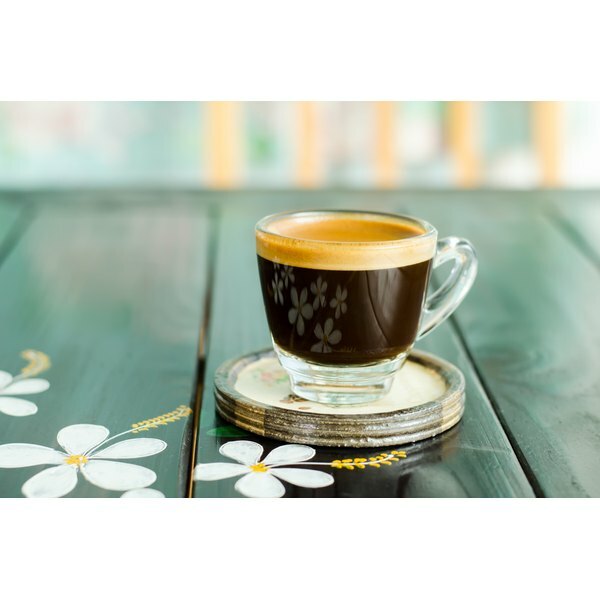 Sheri Barke, a nutrition coach at the College of the Canyons, argues that even caffeinate beverages help provide the fluid your body needs because they contain liquid and because caffeine has only slight diuretic effects. If you drink a normally sufficient amount of water, then moderate caffeine intake will not significantly dehydrate you, explains Barke, especially if you’re a regular coffee drinker. To stay hydrated, drink at least 8 cups of water per day. With that adequate hydration, you can safely drink two or three cups of coffee per day, reports Vanderbilt Dining. If you drink four or more cups of coffee per day or large amounts of other high-caffeine beverages, or if you have any medical conditions that cause or worsen dehydration, then you should drink extra water to compensate for the caffeine, Craig Hospital suggests. Does Caffeine Help You Do Better in School?